The first Italian Women Publisher Fair was held in Rome from 8th of March to 11th March at the International Women's House at Trastevere in Rome. The location at the International Women's House was not an accidental choice but due to its history, it means a political choice. The House in fact represenst the place where the Roman and Italian feminism from the 70's found home. It's nowaday a place where women can find legal patronage, health advises and where many Women associations work to ensure abused, wicked and immigrant Women a place to stay and an help. 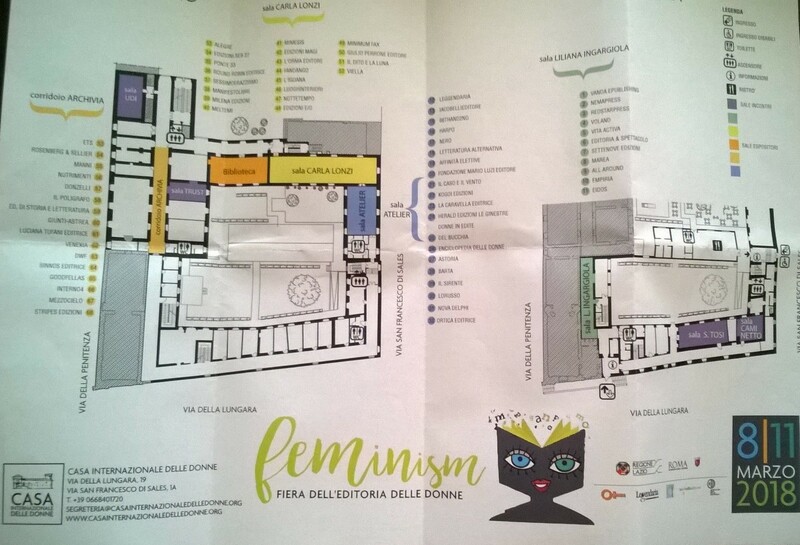 So it was clear that the first Italian Women Publisher Fair would be in a such of place. From an idea by Maria Palazzesi and with the main publisher as Iacobelli and the Observatory of the Independent Publishers, Archivia and Leggendaria, the Fair has seen almost seventy publishers from all over Italy. From the biggest Italian editors Mondadori or Rosenberg&Sallier to the smaller and independent as L'Orma, or Ortica publisher. To the most popular such as DWF directly from the 70's feminism to the newest as "Le Ginestre" (The Brooms) by Herald publisher. All deal with Women as authors or as topic. Many were also the book presentations, the previews of the incoming books and many were also the meetings e.g. 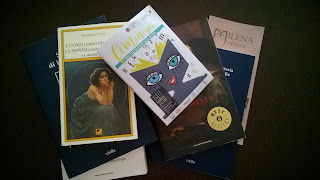 about the Italian metoo movement #quellavoltache (thattimethat) or about the need to involve Women in publishing. 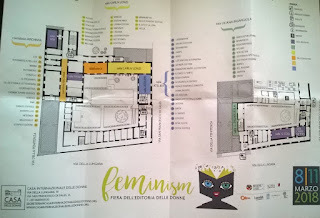 A success of public which came from all over the country to this first Italian Women Publisher Fair that we hope was just at its start and where Women have could find a "place of their own".